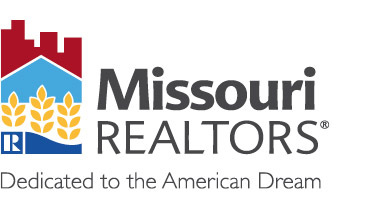 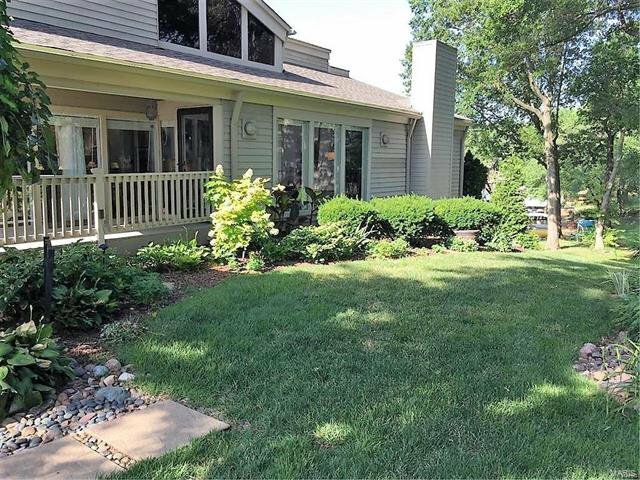 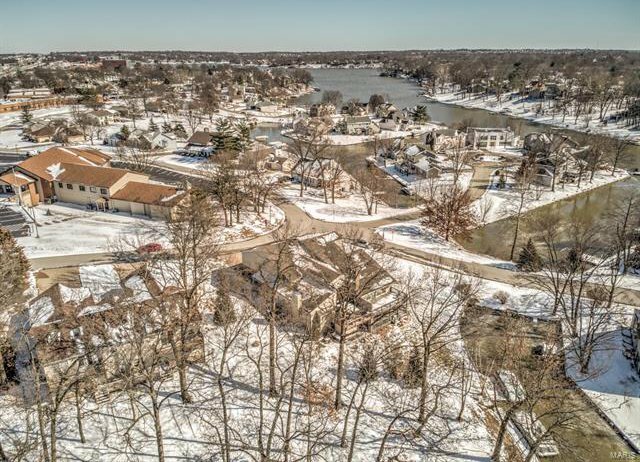 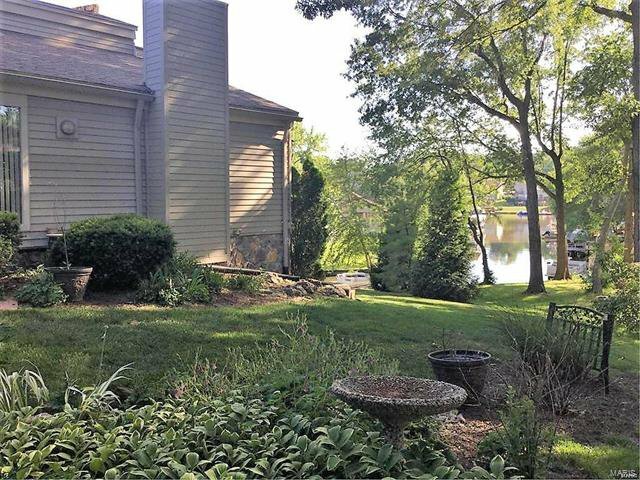 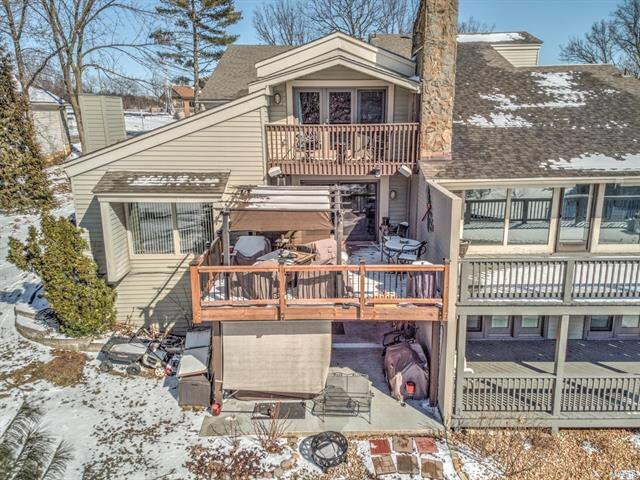 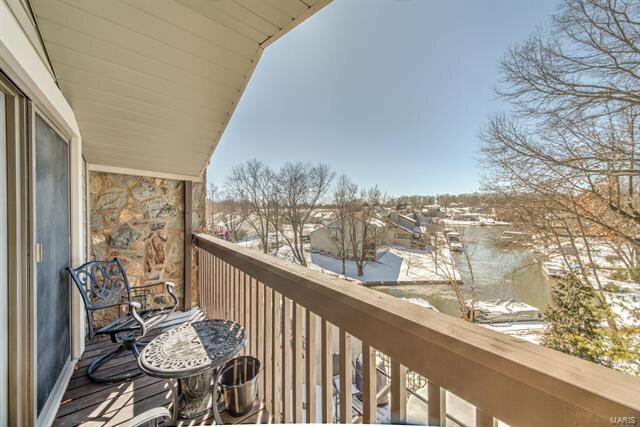 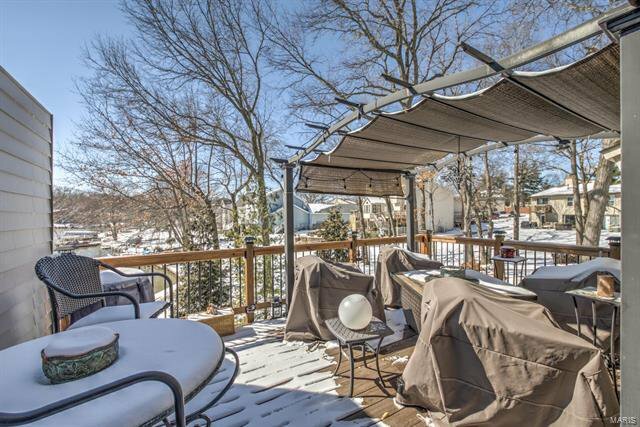 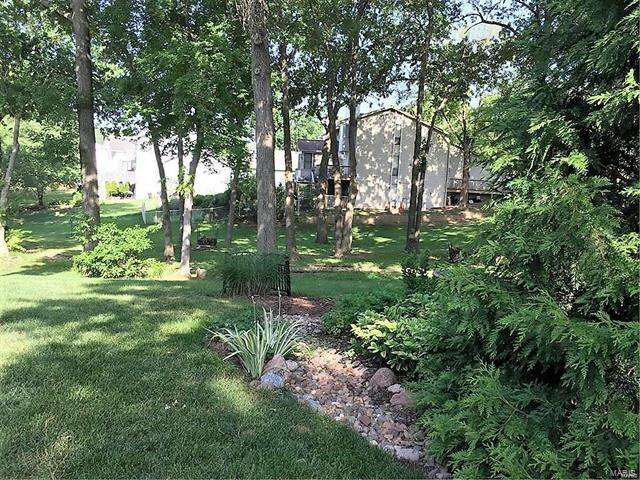 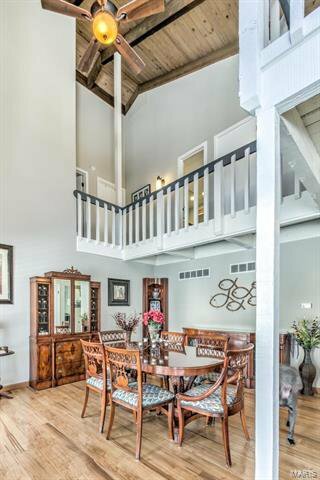 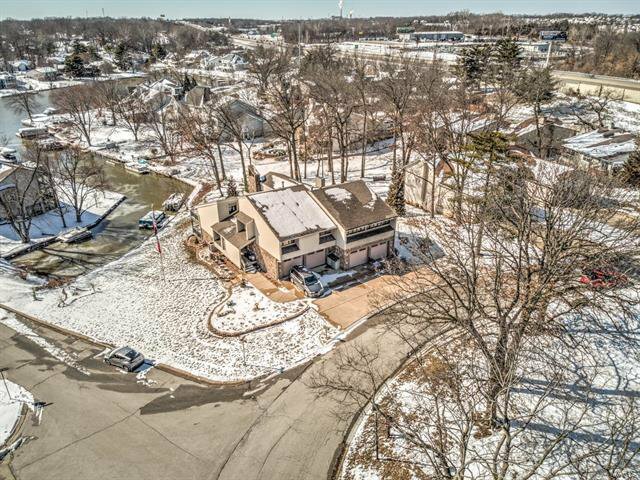 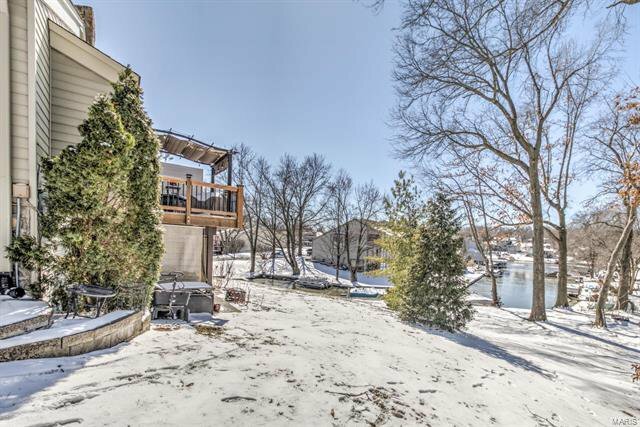 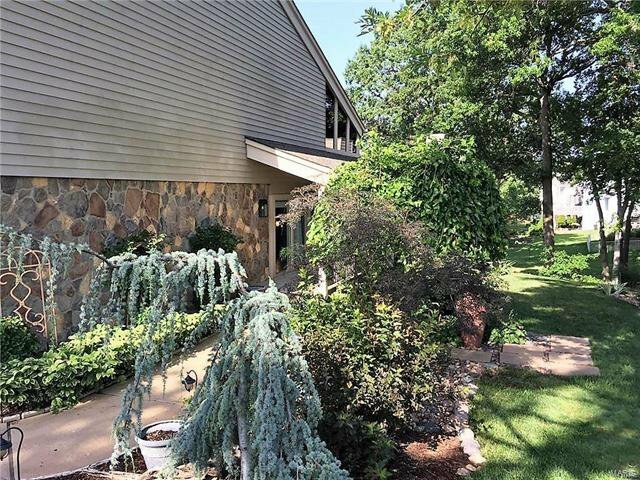 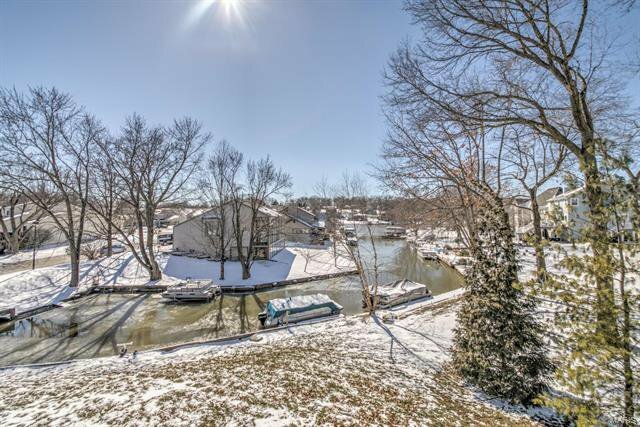 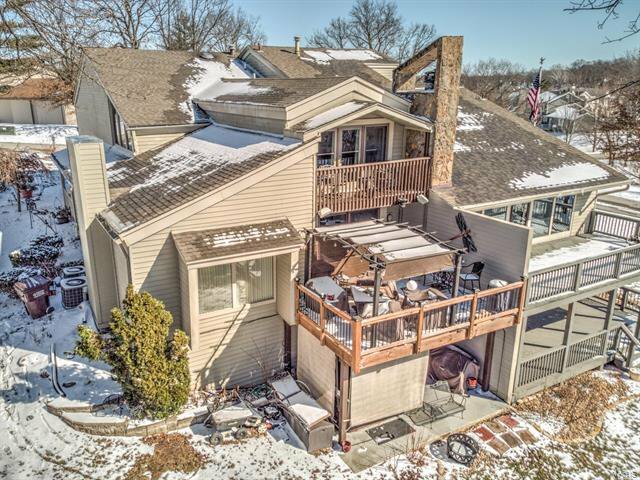 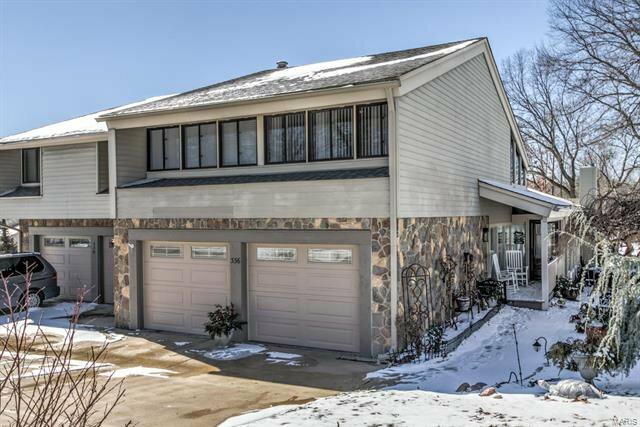 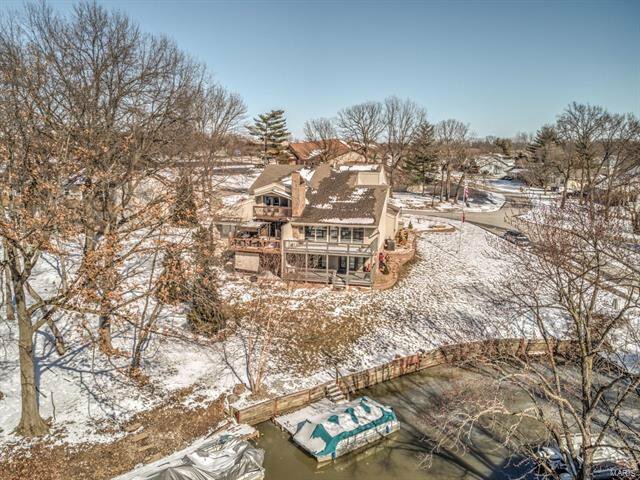 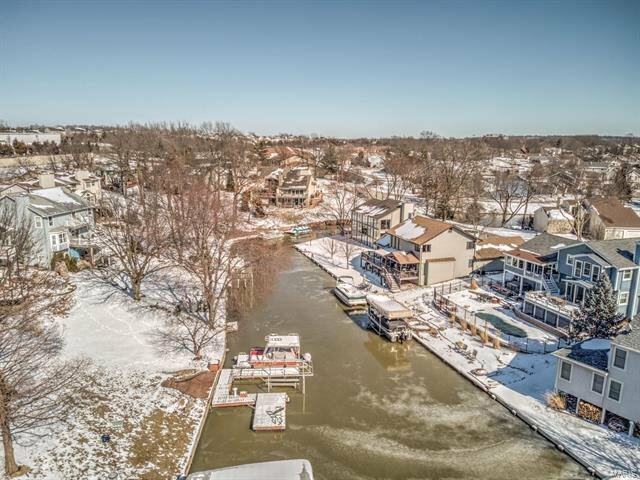 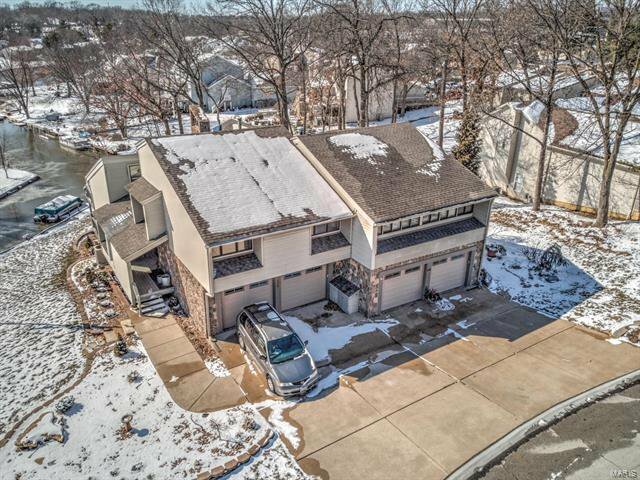 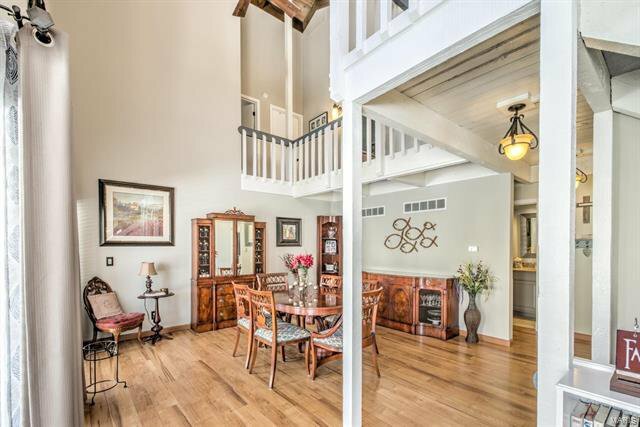 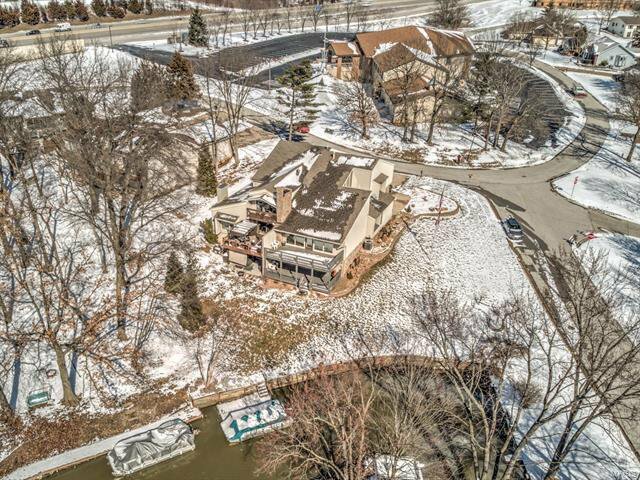 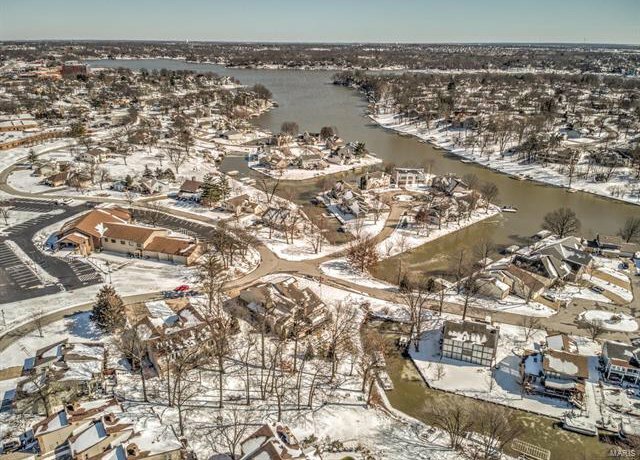 This exquisite residence backs to your own dock on Lake St. Louis's "Big Lake" in a desirable neighborhood. 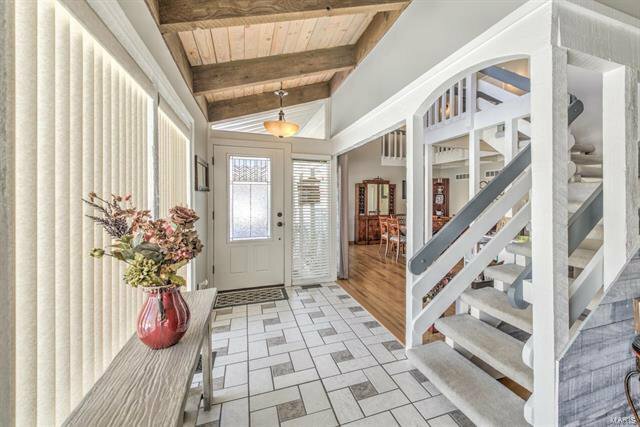 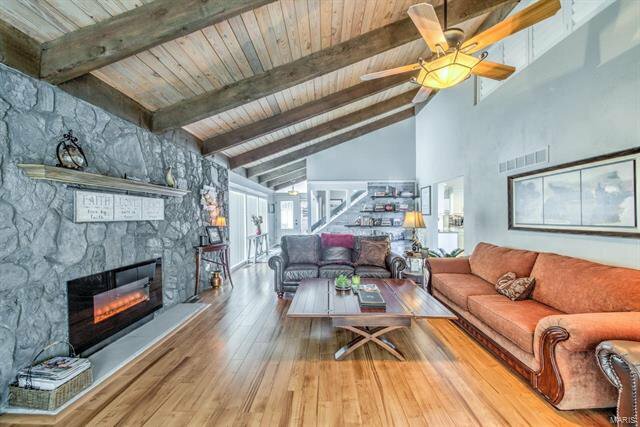 Peaceful, serene, & sophisticated with a youthful edge; this home is loaded w/ light & comfort. 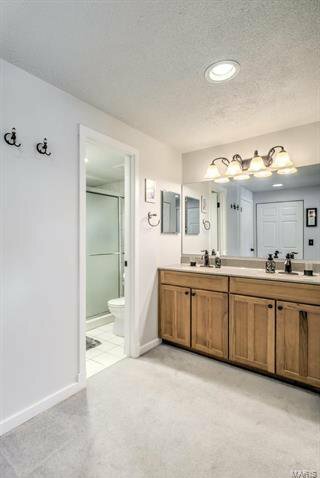 Professionally landscaped entry walkway welcomes you to the tiled entryway, built-in bookcases & formal dining room w/ hardwood floors. 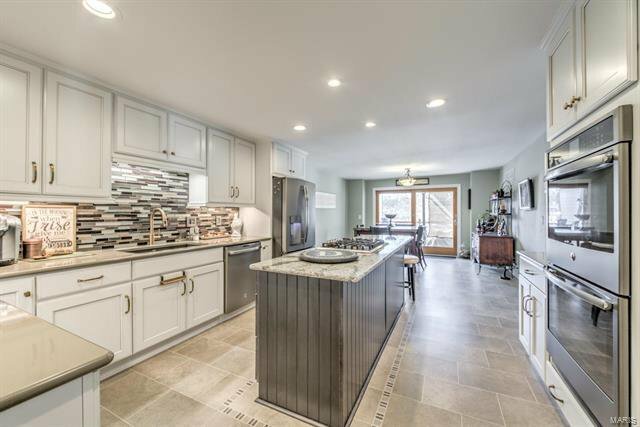 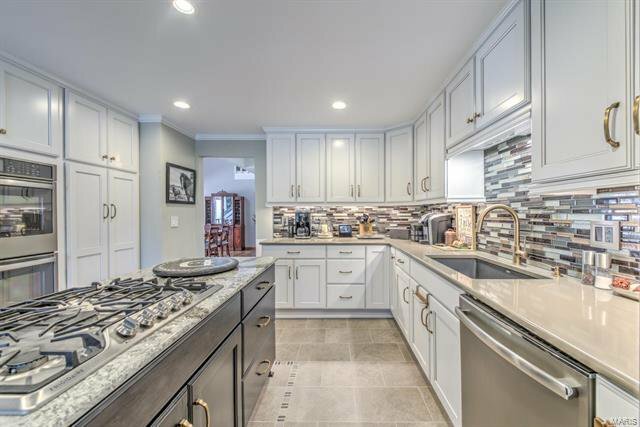 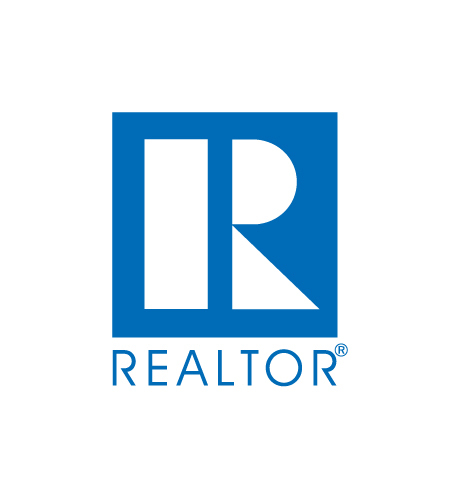 Spacious kitchen/breakfast room w/ a custom OVER-SIZED island, glass tile backsplash, double oven, 5 burner gas stove, custom cabinets, & granite counter tops. 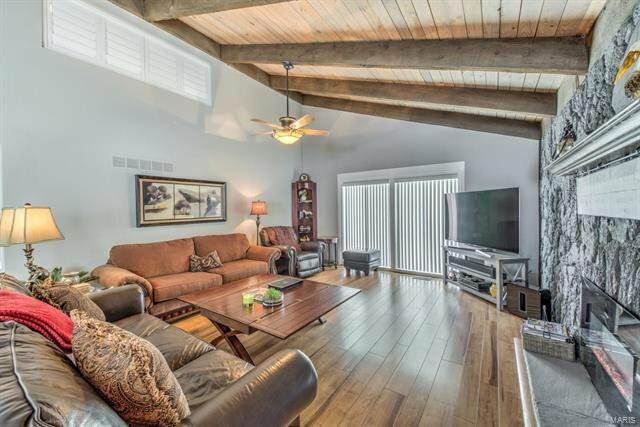 Cozy stone surround fireplace, lovely hardwood floors & picture window create the perfect environment in the living room. 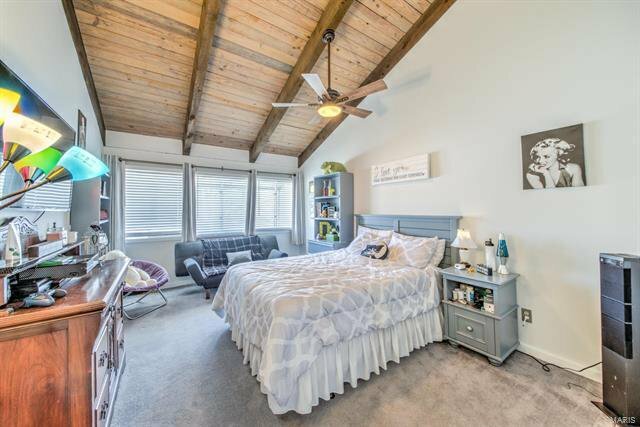 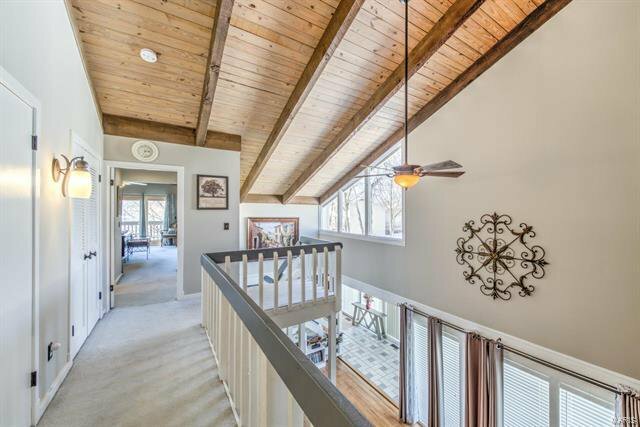 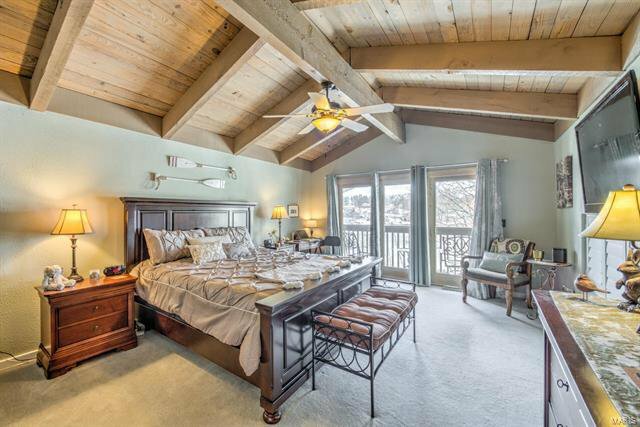 Upstairs the Master bedroom is vaulted, has double closets w/ built-ins, en-suite bath & a private deck that looks out over the lake. 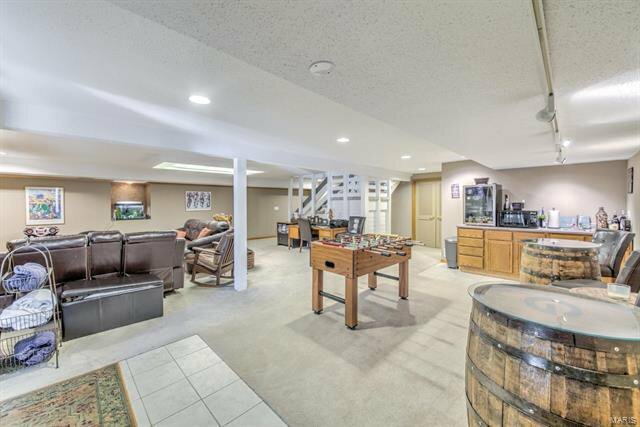 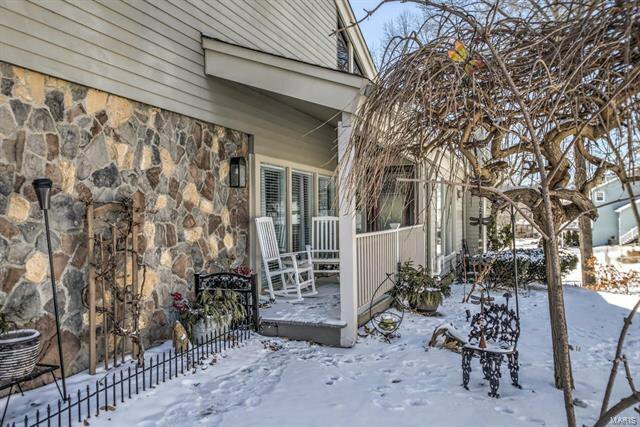 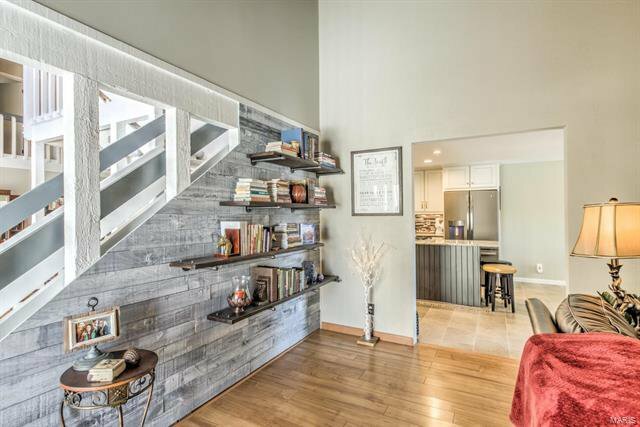 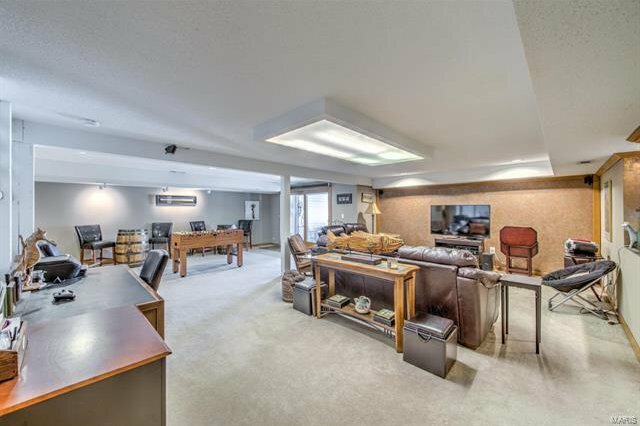 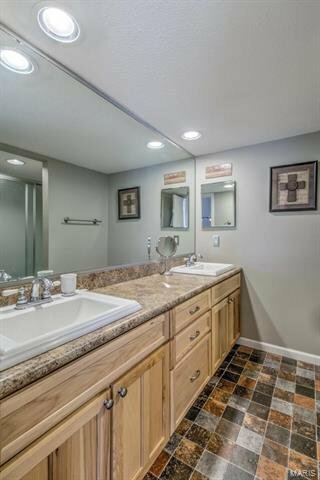 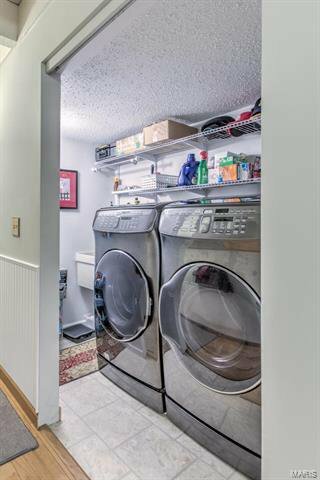 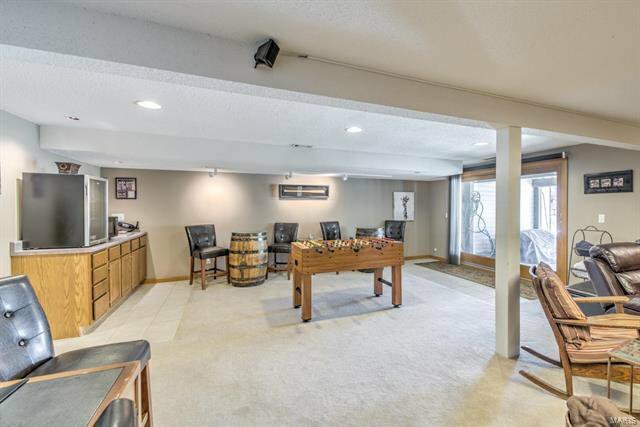 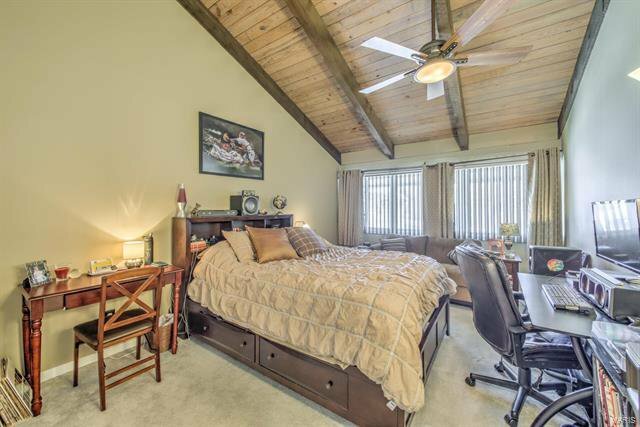 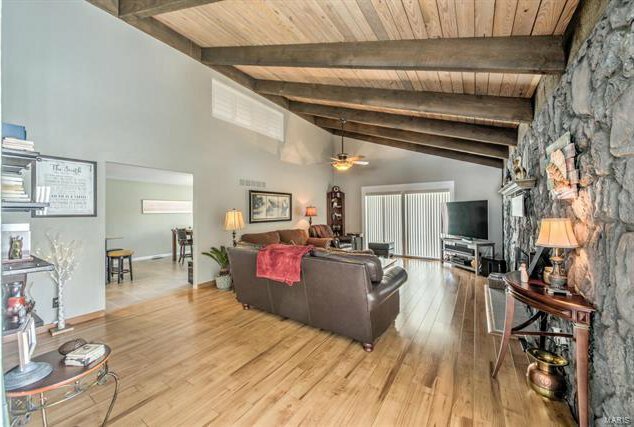 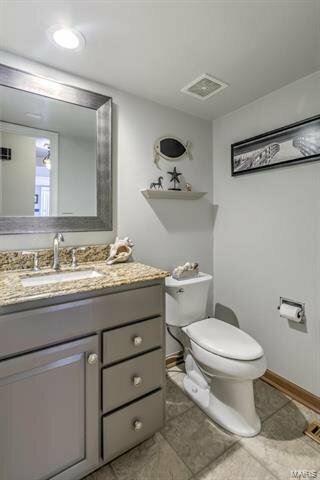 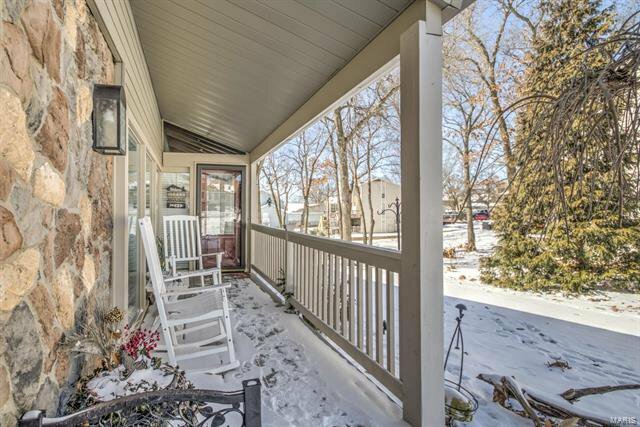 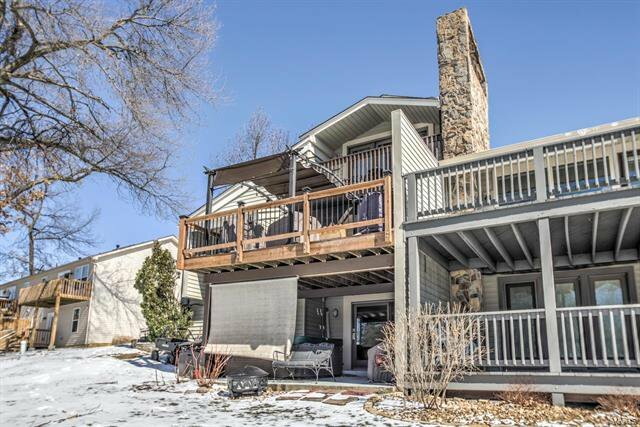 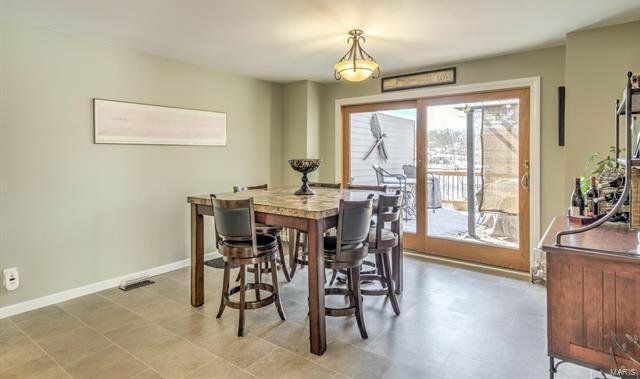 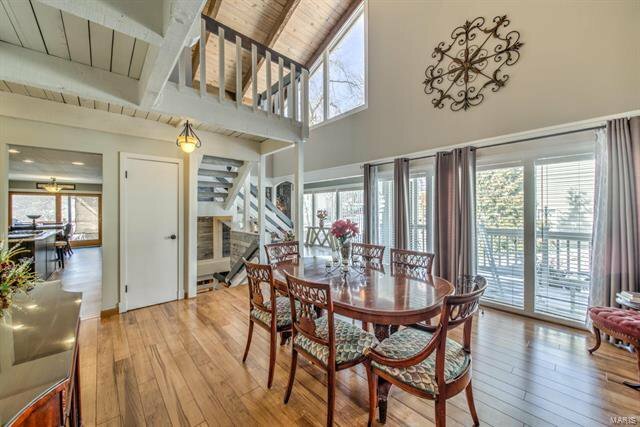 Lower Level rec room features a walk out to patio & hot tub, full bathroom & kitchenette. 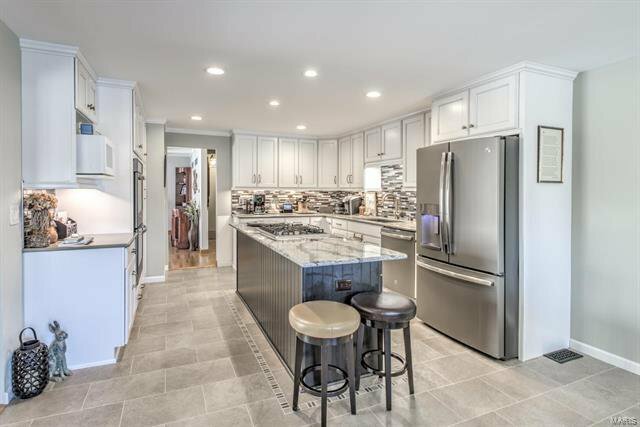 This house screams 'designer' & will reflect the personality & taste of those accustomed to the very best in quality design, finishes, & lifestyle.